AidData Research and Evaluation Unit. (2017). 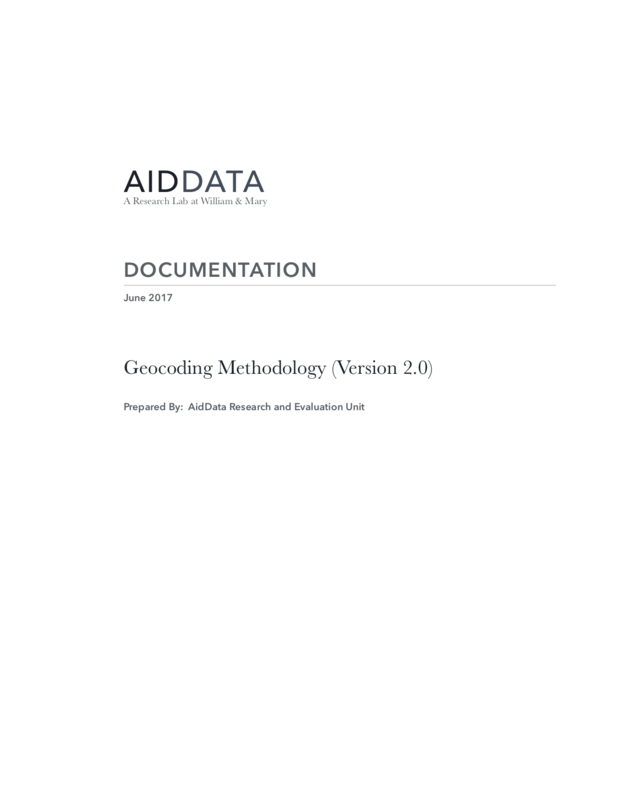 Geocoding Methodology, Version 2.0. Williamsburg, VA: AidData at William & Mary.